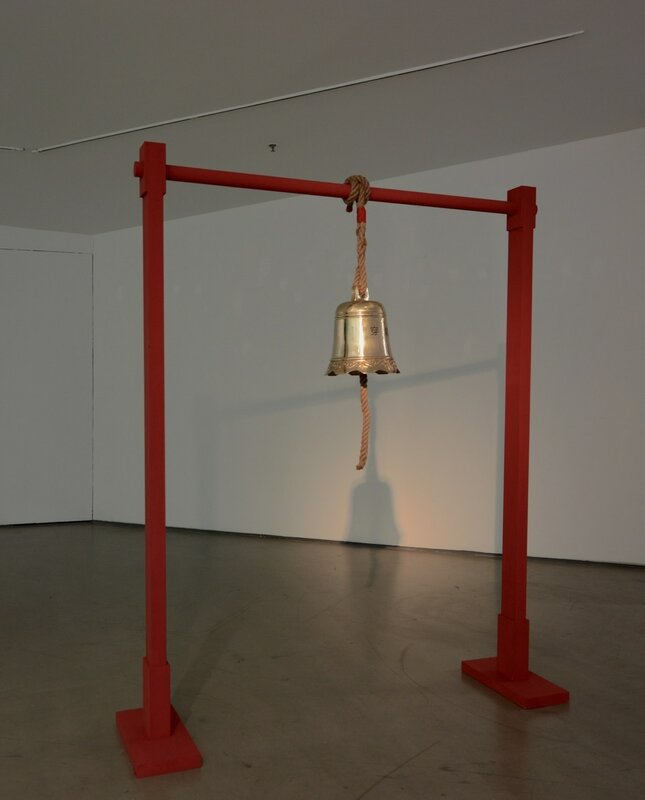 "A Crossing Bell" originally began as an installation for the Estuary Festival 2016 Points of Departure exhibition. 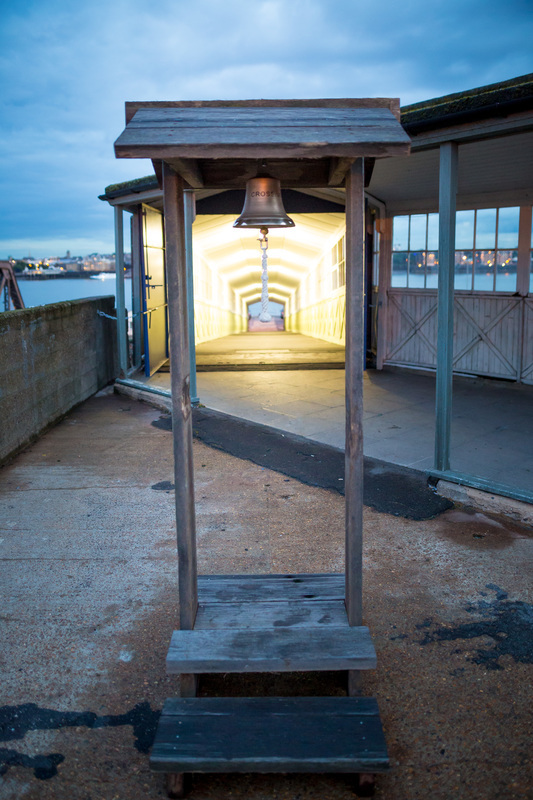 Commissioned as a response to the Gravesend-Tilbury foot ferry, the work was eventually located at the point where passengers are about to join the boat or have just arrived from it, the bell hanging in a structure designed to echo elements of Essex coastal architecture and constructed from planks that once were part of Southend Pier. 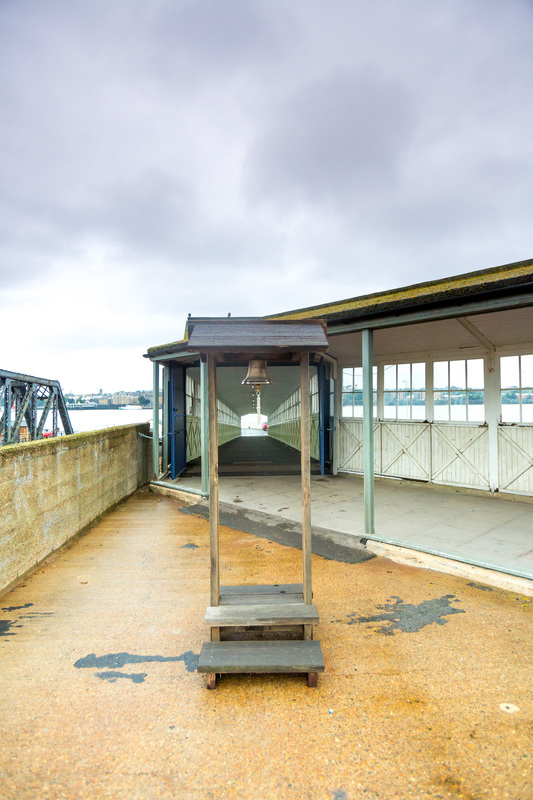 From the exhibition interpretation text: "Installed near the Tilbury ferry within a custom-built wooden shelter that offers views over the wide river, the engraved bell is there to be rung by passengers and festival-goers as they offer their prayers for a crossing (their own or someone else’s, a friend’s or a stranger’s, a crossing here at the Thames or one that lies further afield). The aspiration is that the bell transform the short journey on the openness of the swift-flowing river and suggest other crossings, other times and other places; its un-amplified peals finding their place amongst engine noise, the cries of white feathered gulls, voices and the soundings of the Thames itself". 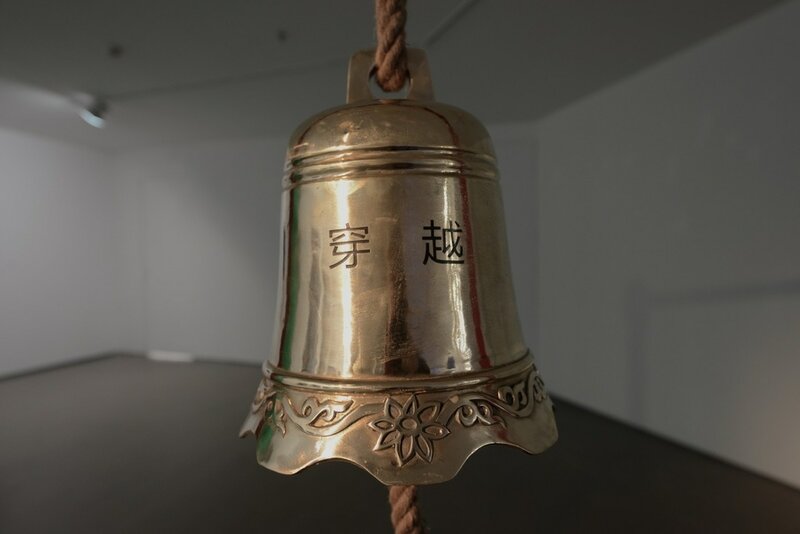 "A Crossing Bell" was reworked for the exhibition "What Has To Be Done" in Spring 2017 at the Today Art Museum in Beijing. The exhibition was curated by Chris Wainwright and the bell and structure were altered to take on other local meanings, this time using a temple bell sourced in Beijing with red painted wood and columns and cross-bars that echo those I remember from when I once visited the Lama / Yonge Temple. ​“Ancient Chinese acoustics long ago recognised that there was sound beyond human hearing. 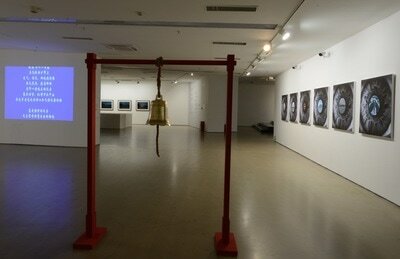 Touching bells when sound had disappeared still yielded tactile perception of vibrations,” Don Ihde Listening And Voice.